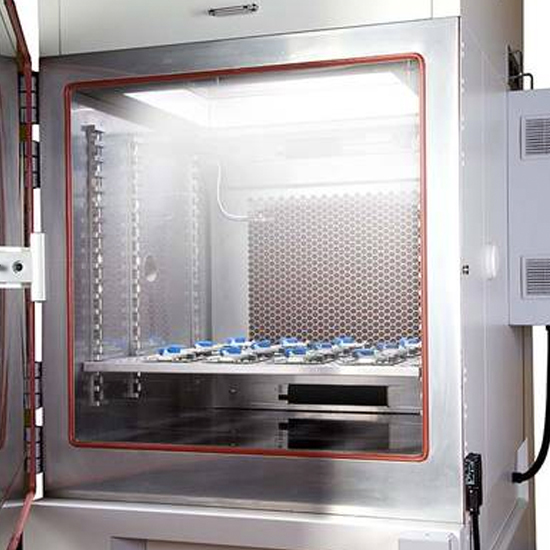 This equipement is specifically designed for the optimal irradiation of various samples. 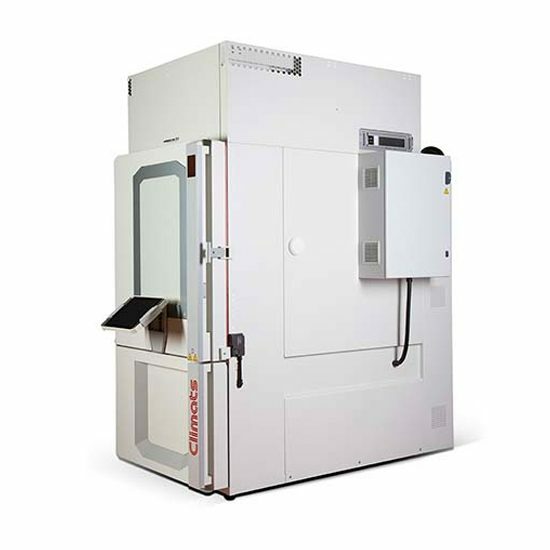 As, in our customers’ applications, a wide range of products are subject to solar simulation such as polymer and plastic and metallic automotive components, defense and aerospace devices, and several electronic boards and systems, the reliability of the raw material, coatings and assemblies must be tested with chambers able to reproduce the most severe and extreme conditions. 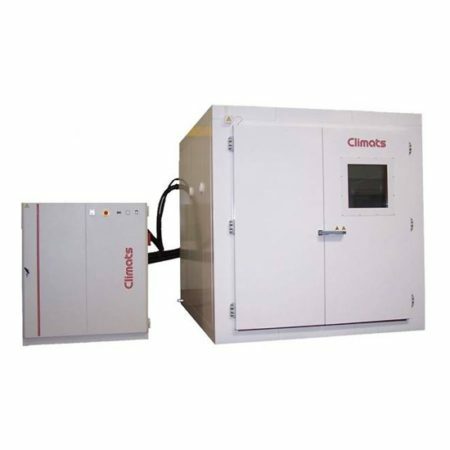 To meet these standards, Climats’ Precision Solar Simulation chambers are equipped with our reliable premium features combined with the best modular solar irradiation unit, powered with Atlas Sunlight Technology. A wide range of test standards can be achieved upon request. Our precision solar simulation chambers are available on internal volumes based on Climats EXCAL wide range of chambers. 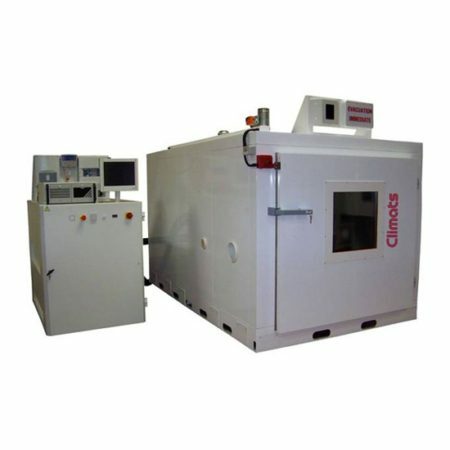 Larger and customized chambers are available upon request. 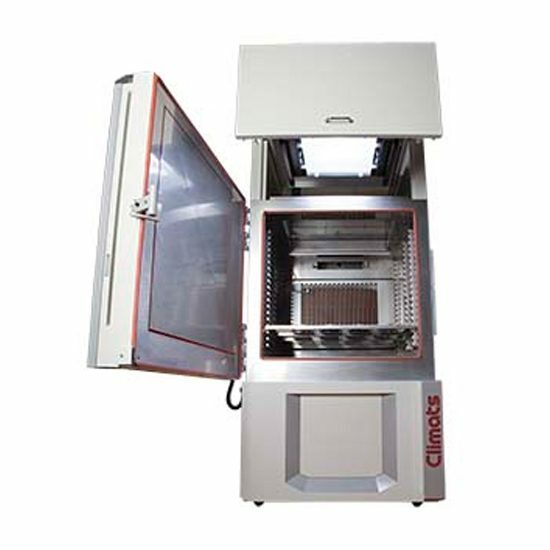 According to the large number of existing test standards and configurations, Climats studies all project case by case to deliver the most suitable and unique solution that meets your equipements. Indoor & Outdoor Total solar spectrum, HMI Lamp with MHG Technology, powered by ATLAS. The metal halide lamps (HMI tpe lamps) used in our precision solar chamber generate an electric arc with very high brightness and high localized radiation intensity. Our technology is engineered to simulate all exposure conditions on Earth with irradiance level up to 1 200W/m², keeping the sun spectrum. We’ve designed the most ergonomic solution allowing the best intensive experience with an industrial & high tech equipment. A smooth bearing rail system, easily manageable by one operator, offers a very simple acces to the sunlight unit for the installation of outdoor/indoor additional glass and for general maintenance. In order to adapt the spectrum, the sunlight unit can host different filters to reach inside/outside conditions and meet all the test specifications requested by your industrial sector. Neutral wire mesch filters are delivered with the system. A set of 4 different wire meshes is dedicated to each lamp. 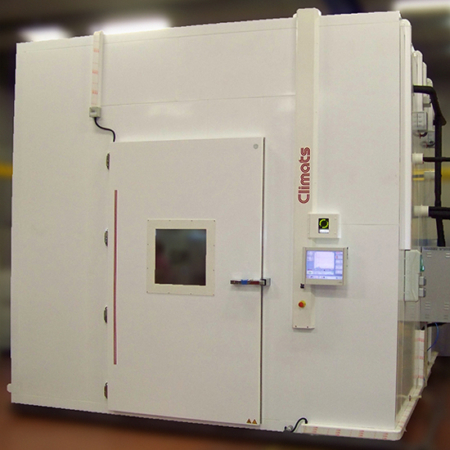 This system gives you the possibility to optimize the overall irradiation without changing the spectral distribution.